In January of 1949, Sylvia Likens was born, making her the third child of five to her carnival working parents. The family was poor, her parents had a rocky marriage, and her younger sister, Jenny, had polio. Despite this, Sylvia was happy and would often make money ironing or babysitting for family friends. In July of 1965, Sylvia’s happiness came to a sudden halt. Sylvia’s mother was in jail for shoplifting, and her father had decided to go back to work at the carnival. Their oldest sister had already moved out, and their two brothers were living with their grandparents. Sylvia and Jenny were sent to live with Gertrude Baniszewski. Baniszewski lived in a rundown house in Indianapolis with seven children of her own. She dealt with depression and had been divorced before. The Likens girls were treated kindly, until the second week of their stay. The abuse began when the first paycheck for taking care of the girls didn’t come on time. Baniszewski took Sylvia into a room and abused her. The check came the day after that incident. From that point on, the Baniszewski house became the Likens girls’ personal hell. The abuse started with both of the girls, but eventually, only Sylvia was targeted. Gertrude would beat Sylvia with a heavy paddle and a thick leather belt that was previously her ex-husband’s. This is how, despite being such a frail woman, Baniszewski was able to do so much damage to Sylvia. The abuse continued for months and wasn’t carried out by Gertrude alone. Gertrude would recruit neighborhood kids, her own children, and even Jenny; she would threaten to make Jenny the target of abuse if she didn’t participate. Eventually, Gertrude knew Sylvia was going to die soon. To cover up the abuse, she made Sylvia write a letter claiming that she had run away. On October 26th, 1965, Sylvia died due to the injuries she had sustained. Gertrude’s plan was to call the police and show them the letter she had Sylvia write. They only found out about the abuse when Jenny approached them, promising to tell them everything if they got her out of the Baniszewski household. 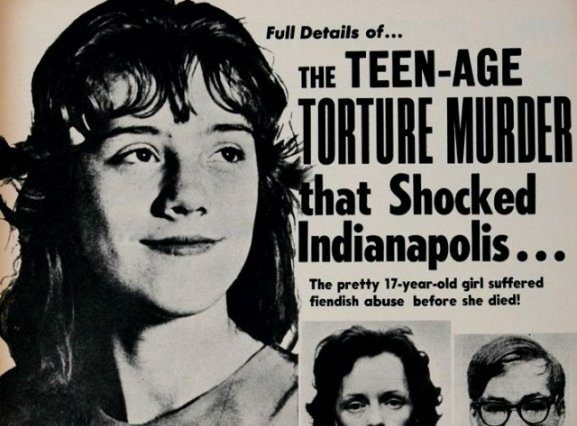 Gertrude Baniszewski was charged with first-degree murder in 1966 and received life in prison. Her daughter, Paula Baniszewski, was charged with second-degree murder. They both got parole, and Gertrude died of lung cancer five years later. Richard Hobbs, Coy Hubbard, and John Baniszewski Jr. were the three of the boys that helped abuse Sylvia; they were charged with manslaughter, and all were sentenced to 2-21 years in prison. Many of the other children were too young to be charged. Gertrude never expressed remorse for what happened. Sylvia was buried in Lebanon, Indiana. A memorial for her was put up in Willard Park in Indianapolis in June of 2001.